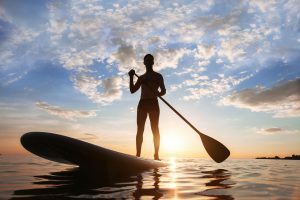 Stand up paddle boarding, or SUP for short, is one of the most peaceful and chill things to do on the planet. It can also be the most exciting thing on the planet if you choose to ride the big waves with your board. But sometimes the weather can ground you. Which can be disappointing if you love SUP as much as we do. 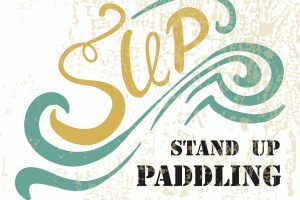 But, unless you’re facing lightning, a hurricane, a tornado (AKA water spout) or a thick sheet of ice, you should be able to SUP in most any weather. It’s only a matter of proper preparation and safety precautions when it comes to cold weather paddle boarding. As the Boy Scouts say, “Be prepared”. It means that you are always willing and able to help others and help yourself in all situations. SUP in cold weather can be dangerous if you aren’t prepared. But with the right equipment and mindset, it can be safer than driving your car to work in the morning. Take the time to gather supplies and necessary information before going out. Know what’s predicted to come at you on the water. Winter weather can seem unpredictable, but knowing how weather works will allow you to know when to come in early. Storms can spring up quicker than you think. If you’re not aware of what weather is coming at you, you could be in waters you can’t handle really fast. But if you can predict the weather, you’ll know when to call it quits or when to stay in. Hypothermia is real. Even in the summertime, you can get hypothermia. So, it’s even more important you have excellent gear before you head out on the water. There are two types of suits for cold water SUP. Neoprene or dry suits. They make neoprene wetsuits in thicknesses from 2mm to 6mm. In summer you will use anywhere from 2mm-3mm thickness for temperatures ranging from 60 degrees Farenheight to 70 degrees. Anything below 60 degrees Farenheight and you need something thicker. 60 degrees down to 55 degrees, wear a 4mm thick wetsuit. From 55-43 degrees, wear a 5 mm wetsuit with booties. And anything below 43 degrees, wear a full 6mm wetsuit. That’s with hood, gloves, and boots. A drysuit is made out of waterproof material. It’s a shell with seals on the neck and wrists. And these keep water out. They are designed to add layers underneath. And these keep water out. They are designed to add layers underneath. 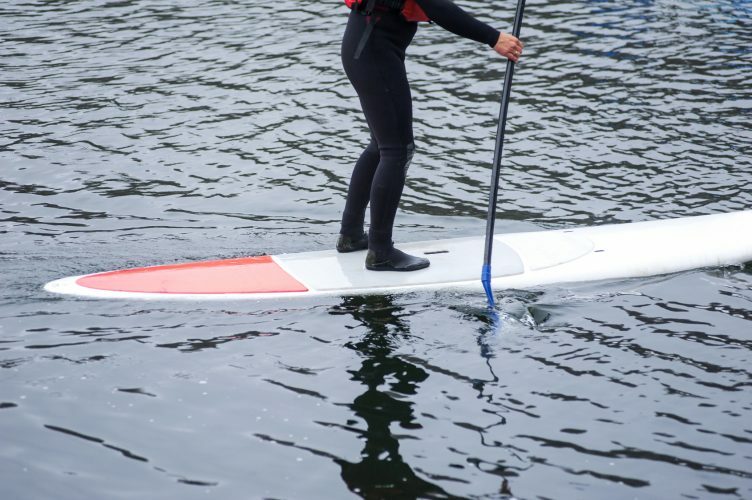 If you want to stay dry while cold weather paddle boarding, you can use a drysuit. This could be especially useful if you plan on paddling during subzero temperatures. It’s typically used by divers and kayakers. But many paddle board users like to wear them as well. Sometimes you can combine the two, as neoprene will keep the heat in while the drysuit will keep you dry. One way to combat hypothermia is to stay warm before you paddle. If you’re driving, keep the heat on. If you’re walking to the beach, bundle up. 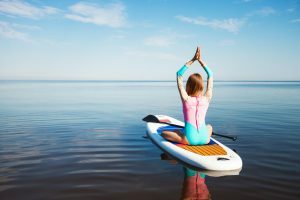 You will keep your body temperature up while paddling, but getting ready on the shore might drop your body temperature. And you can also bring a thermos with something hot to help you warm up afterward. You should never go out on the lake or ocean with just your wetsuit, paddle, and board. 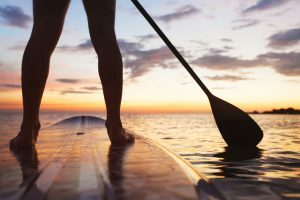 Cold weather paddle boarding requires some extra gear to keep you safe and to keep you prepared. You might get caught in a current and end up where you didn’t intend. Time can also slip away from you and you might end up paddling past dark. Just in case, carry a waterproof flashlight with you. Take down to the shore a dry bag filled with essentials. Extra clothes and warm clothing like jackets, gloves, a hood. Take down to the shore a dry bag filled with essentials. Extra clothes and warm clothing like jackets, gloves, a hood. Add energy bars in case you need sustenance. A thermos filled with something warm like hot cocoa or soup. Double pack a cell phone in case of emergency. Bring flares in case you need someone to spot you on the shore. A compass, map and tide charts as well. If you’ve ever seen the movie 127 Hours, then you’ve probably learned this lesson from someone who has gone before you. But if you haven’t, then know this. Always, always, tell someone where you are going and let them know when to expect you back. It’s the mantra of any outdoor adventure enthusiast. If someone at least knows where you’ve gone, they can at least tell authorities where to start if you get lost. You’ve already taken the most important steps to keeping safe, keeping warm, and having fun while cold weather paddle boarding. But there are still a few things you need to remember while out on the wide open. While, yes, a leash keeps you from losing your board, it also keeps you safe. If you fall into the water, you want to be able to get out as fast as possible, especially in subzero temperatures. No matter how cold the air is, the water is even colder. If you have an appropriate wetsuit or drysuit on, you should have plenty of time to get back on to your board if you’re attached to it by a leash. 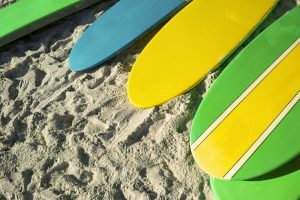 If you have to swim to your board from a distance, you increase your chance of hypothermia. Your personal lifejacket will literally save your life. 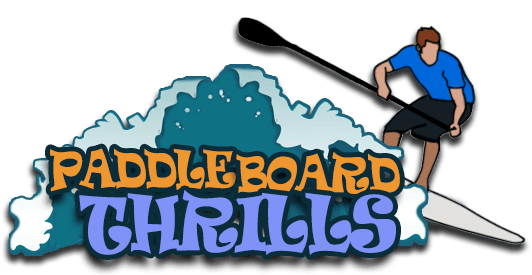 If you fall backward onto your board and whack your head, you could fall unconscious. If you wear a PFD, then you should safely awake with your head above water. Without a PFD, you will drown if you go unconscious (unconsciousness can easily happen if you are stuck in cold water for too long). Even if you are in calm waters, it’s always a good idea to use a PFD. As we said before, cold weather paddle boarding can be safer than driving your car to work in the morning. 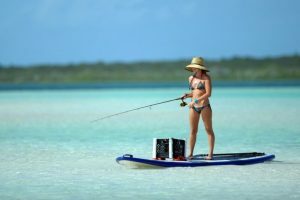 It’s an awesome and fun experience to be out on the water when most people wouldn’t dare. 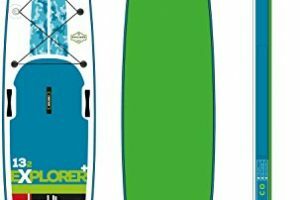 Do you like to paddle board in the winter? What experience can you share with us? Let us know in the comments below. And, as always, paddles up! Maybe a picture showing a paddler WITH a leash and a lifejacket would be a good idea. For the record MOST lifejackets WILL NOT turn you face up. Overheating is a concern if you are paddling hard. When I paddle in the winter I rarely use a wetsuit or a drysuit. I paddle close to shore in clothing that I would run or cross country ski in. If I fall in I have a towel and a dry set of clothes in a dry bag. If you are just out for a leisurely paddle or there is a high probability of falling a wetsuit or drysuit is a good option.